Turn Turn Turn: A Time For A Right Banker In Napa Valley? Let’s play a little game of word association. 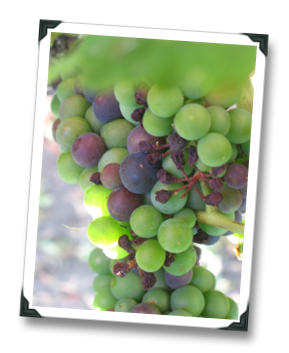 I say “Carneros” and you say… ___________. Our story today not only involves Carneros, it also involves turns, banks, and several groan-worthy, near-pun plays-on-words. Oh, yeah, and some very good wine as well (you didn’t think I leave that part out, did you?). A couple of weeks back, I dragged my worn-out and slightly-hungover bones over to the fine Farmstead restaurant in St. Helena to meet up with former investment-banker turned wine brand owner (and first-class personality dynamo) Emily Richer. 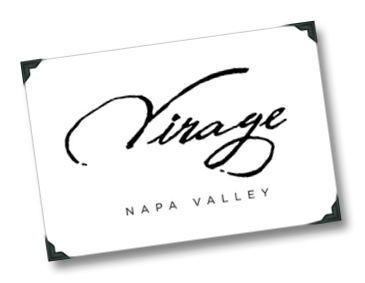 Over a “light” lunch of amazingly fresh garden produce made into phenomenal but artery-clogging, buttery delights, Emily and I chatted (and chatted, and chatted – we’re both talkers) about her new wine venture, Virage Napa Valley. 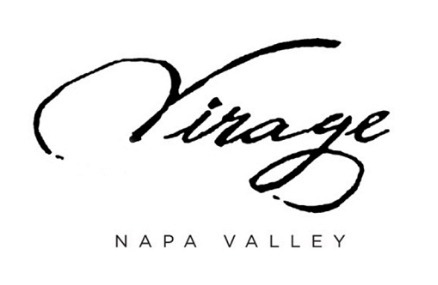 Emily had come with a preview, label-less bottle of Virage’s inaugural release. It’s from Carneros. But it’s not a Chard, a Pinot, or a sparkler. It’s a blend made primarily from Cabernet Franc. And it’s pretty damn good. 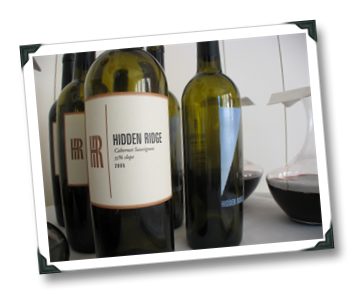 Hidden Ridge Vineyard is technically in Sonoma County, though it’s a stone’s throw from Pride Mountain Winery and is pretty close to Napa, as the crow flies. 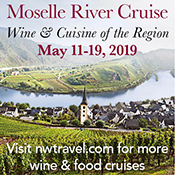 But in order to actually get to Hidden Ridge’s insanely, almost Mosel-esque steep vineyards in any reasonable amount of time, you’d need to travel as the crow flies. As in, by helicopter (not that I’ve seen any crows flying helicopters… but it could happen, right?). 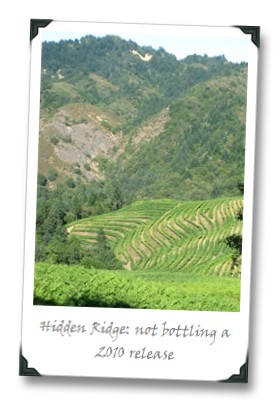 Or, you can do what I did on a recent press trip, which is visit Hidden Ridge Vineyards by way of Lynn Hofacket’s four-wheel-drive truck. Which is to say, you can be tossed around like a rag doll in the back seat of Lynn Hofacket’s four-wheel-drive truck while traversing the rocky, twisting and winding “roads” that lead you to the vineyard owned by Lynn & Casidy Ward. I’d love to provide directions, but I’m pretty sure my memory of the trip was compromised by the multiple concussions I endured during the drive. 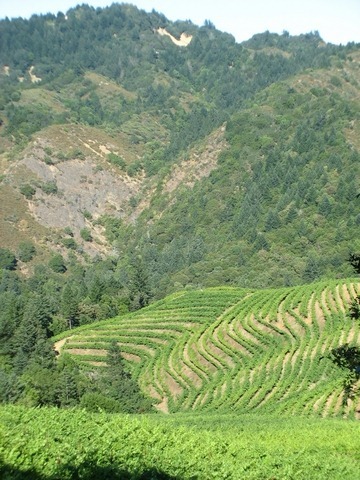 The vineyards at Hidden Ridge might be elevated (some as high as 1700 feet), but the winemaking approach of consulting winemakers Marco DiGiulio and Timothy Milos is fairly down to earth. 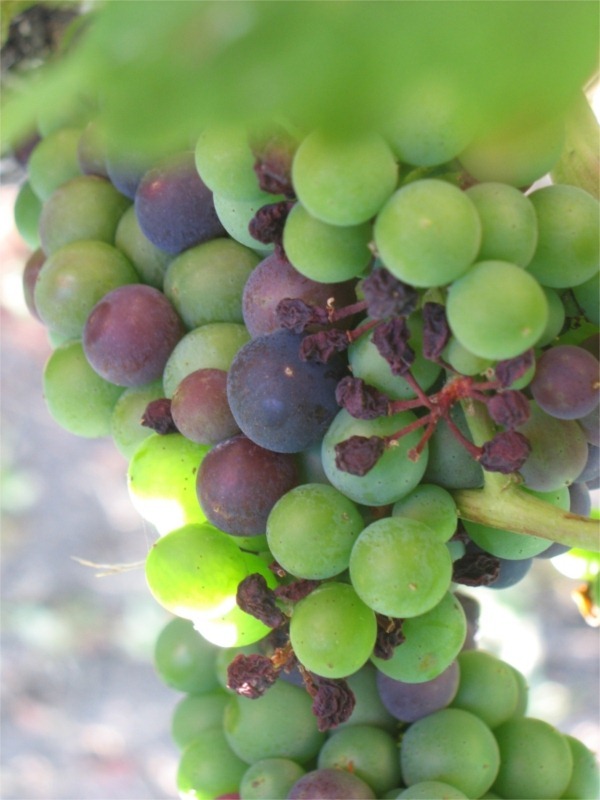 Several years ago, Lynn was advised to “throw that damn thing away” when he tried to produce a refractometer in the vineyard to measure grape ripeness. Now, he and the winemaking team simply taste the grapes to determine the best time to pick. “Brix aren’t measured until the wine is in the tank” Timothy told me when we toured the ridiculously steep (on up to 55 degree slopes) rows of vines on the Hidden Ridge property.